Why would Angola’s President José Eduardo dos Santos issue a presidential decree (25/17) in February this year to award an estimated US $200 million r contract for a 100 Megawatt bi-fuel power station in Cabinda to an unknown entity named “Vavita Power S.A.”? It’s a sweet deal: as spelled out in that presidential decree, it is a renewable 25- year arrangement accompanied by purchase guarantees, thanks to an Energy Acquisition Contract (Contrato de Aquisição de Energia, CAE) that obliges future governments to buy whatever energy is produced for the National Grid (Rede Nacional de Transporte, RNT). So far as industry experts have been able to ascertain, Vavita is what they call a ‘ghost’ company, based in the central headquarters of a bank with no branches. They wonder why Angola’s President would entrust an unknown company with the task of constructing and operating another dual-fuel thermoelectric power station for Cabinda. Although the budget for the new power station isn’t specified in the presidential decree, information already in the public domain regarding comparable projects gives an idea of the likely cost. Angola spent more than US $260 million over five years for the 95 Megawatt output from its existing diesel and gas-fuelled power station in Cabinda, at Malembo. This dual-fuel power station was opened in 2012 at a cost of 91.8 million euros (equivalent to US$98.5 million at today’s exchange rates) with two 35 Megawatt producing turbines. The President then approved a further US $164 million “emergency project” to increase Malembo’s generating capacity to 95 Megawatts (see Amendment 7/15 to Presidential Decree 225/14). The first question is: who or what is Vavita and does it have the technical capacity and expertise necessary for a power station project? After all the company was only set up in September 2015, for the stated purpose of “offering real estate property purchases, sales and promotion, market studies and consulting and management services.” Nowhere in the company’s founding documents is there any indication of a specific appetite for power stations or electricity supply. Yet, barely a year after the company was set up, and with no evidence of any business activity in that period, Vavita then changed its name and the terms of its business. In December 2016, it was transformed (on paper at least) into a company destined to produce electricity and associated activities. In other words, two months before the presidential decree that awarded it the Cabinda power station project, Vavita suddenly, and rather implausibly, changed course from real estate to electricity generation. The first clue as to why this company and no other can be gleaned from its address: Vavita’s headquarters are apparently located at No. 150 Avenida Comandante Gika in the Angolan capital, Luanda. 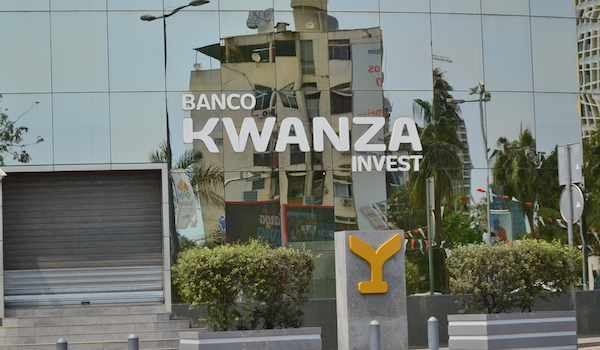 Is it a coincidence that this is also the address of a private bank, named Banco Kwanza Invest (BKI), initially set up by the President’s son, José Filomeno dos Santos, who is CEO of Angola’s Sovereign Fund. And the majority shareholder of BKI, with 85% of its operating capital, is José Filomento’s frequently-referenced best buddy and financial mentor, Jean-Claude Bastos de Morais. Those who take note of strange coincidences will recall that this was the same address that housed the headquarters of Kijinga S.A. another ghost company that was used in 2015 to divert US $100 million from the Angolan Sovereign Fund into its account with that very bank, the BKI. Again on April 20, when asked for definitive evidence that would prove Jean-Claude has no financial interest in Vavita, Schillings repeated that their client is not a shareholder of Vavita Power S.A. and that if Maka Angola were to allege the contrary, as a matter of principle it would be up to Maka Angola to prove the connection, not for their client to disprove it. So are there any links between the six people who are named as the partners in Vavita Power S.A.to Jean-Claude Bastos de Morais, the BKI and/or Cabinda? 1. Manuela Ganga: a Swiss national who is currently the Director-General of a Swiss-based firm named Uniqua Consulting GmbH which, along with a constellation of firms linked to Jean-Claude Bastos de Morais, offers ‘consultancy services’ to the Angolan Sovereign Fund and received nearly 6 million US dollars in 2014 for such services. She is also the Director-General of a Soap Factory, in the Cazenga district of Luanda, a “social project” dreamt up by Jean-Claude Bastos de Morais and underwritten by the Angolan Sovereign Fund. Manuela Ganga was secretary to the Board of Directors of the Banco Kwanza Invest, as well as personal secretary to Jean-Claude Bastos de Morais and an employee of the firm named Quantum Global. There is another, more intimate, connection in that she has a child fathered by Jean-Claude Bastos de Morais. 2. Júlia Germana Bastos: a blood relative in that she is Jean-Claude Bastos de Morais’s cousin. She is also an employee of Chevron, the US company which operates out of Cabinda. 3. 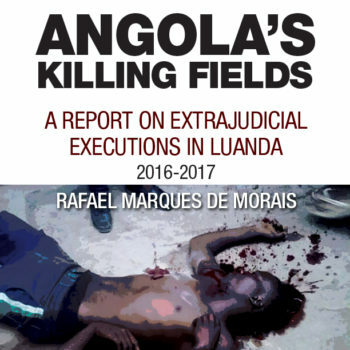 Catarina Isabel Froufe Gomes da Costa: a Portuguese national and lawyer who operates out of Jean-Claude Bastos de Morais’s so-called “family office”, which oversees all this business interests in Angola. This too is based at No. 150 Avenida Comandante Gika, the headquarters of the Banco Kwanza Invest. 4. Gilberto de Jesus Cabral Pires: listed as a partner of Jean-Claude Bastos de Morais and José Filomeno dos Santos in the company Benguela Development S.A, also a beneficiary of the Angolan Sovereign Fund (administered by the aforementioned José Filomeno). These three men are also listed as partners in other businesses. 5. Manuel Nunes Barata: an Angolan official in the province of Cabinda, working as an advisor to the Office of the Provincial Secretary for Territorial Planning, Urban Development and the Environment. One of his duties has been to act as a member of the commission overseen the project to build the deep-water Port of Caio, a project which was also awarded to a company set up by Jean-Claude Bastos de Morais. He is also works in the employ of Caioporto as advisor for Institutional Relations. Mr Nunes Barata also has a family connection to Mr Bastos – he is his Uncle Manuel, thanks to his father being a great uncle to Mr Bastos. 6. Margarida Buca Quinta: a friend of Manuela Ganga’s and a former employee at the Banco Kwanza Invest. There’s more. The partners in Vavita Power S.A. are bound to Jean-Claude Bastos de Morais in numerous ways. Three of them, Gilberto de Jesus Cabral Pires, Júlia Germana Bastos and Margarida Buca Quinta appear as named partners of Jean-Claude Bastos de Morais in the firm Caioporto, where they make up the numbers necessary for the company to qualify as a “sociedade anónima” (limited company) each with a nominal 0.025% of the shares. A further nominal shareholder in Caiporto, with 0.025%, is a Portuguese lawyer, Joana Filipe Lima da Silva Simplício de Oliveira, who oversees legal matters for Jean-Claude Bastos de Morais’s “family office” based at the Banco Kwanza Invest HQ and who is the direct supervisor of another Vavita “partner”, Catarina Isabel Froufe Gomes da Costa. Any other link between Caioporto and Vavita? Apart from the fact that both companies are headquartered at the same address, 150 Avenida Comandante Gika, Luanda, which, we repeat, is also the headquarters of the Banco Kwanza Invest and of the Bastos de Morais “family office”. Further, the presidential decree helps shed light on the connection. It specifies that the concession of the construction of the power station is linked to the start of operations at the Fútila Industrial Estate and the Caio Port, expected later this year. Just to remind you that it was Jean-Claude Bastos de Morais to whom President José Eduardo dos Santos also awarded in 2012 the contract for the construction and operation of the Caio deep-water port in Cabinda with the right to operate the concession for a 60 year period. Jean-Claude Bastos de Morais obtained the concession through another ‘Johnny-come-lately’ company, Caioporto, with no previous expertise in the sector, on the undertaking that his company would raise from the private sector the entire cost of financing the project. The legality of these contracts has been called into question by industry insiders and Angolan legal experts. You will recall that the presidential decree itself notes that the contract was awarded without any public competition or tender. And it was awarded to a company with no record of competence in this sector, no prior history, whose partners have no experience or expertise, but who are linked to Jean-Claude Bastos de Morais, the business associate and best friend and mentor of the President’s son, José Filomeno dos Santos, who also controls the Angolan Sovereign Fund, which has repeatedly diverted funds into projects run by people connected to Mr Bastos de Morais. 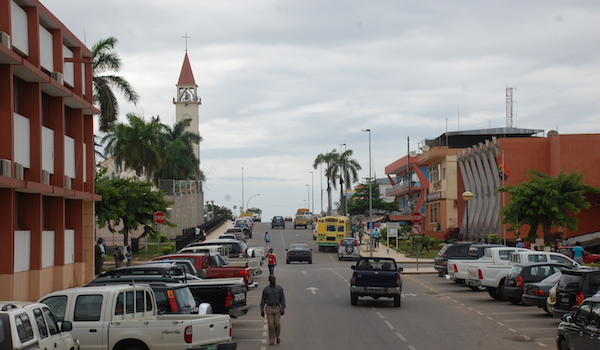 Rua da Sorel, one of Cabinda city’s main streets. Schillings states that their client “believes all the proper legal procedures were complied with and has no knowledge of any irregularity”. Apparently they have had assurances from Jean-Claude Bastos de Morais that Vavita “has every competence and capacity to discharge the duties faced”. Is this true, simply because he states it is? Where is the evidence of Vavita’s “competence and capacity” to build a dual fuel power station? And why was there no public tender? The President has also failed to demonstrate any special exception that would justify abrogating the law. The Law on Electricity which the President cites as giving him the right to approve the concession of a contract (Article 18, Clause 1) also requires (Article 18, Clause 2) that such projects to be opened to public competition – but he ignores that. “It makes you want to laugh. He cites the first clause and ignores the second. Yes, the President has the power to award the contract, but only after adjudicating on the tenders submitted during the public competition,” says Rui Verde. So how much credence can be given to statements, unsupported by any documentary evidence, issued by one of the family’s closest associates via a law firm specifically hired to try to protect his crumbling reputation? The intricate commercial webs woven by the President, his family, their friends and business associates are specifically aimed at concealing the real owners of the companies involved in bleeding Angola dry. The clues are there – it’s just a matter of joining the dots.